Our members play an essential role in creating the art, artists, performance, learning and sharing that make the Royal Opera House what it is today. Membership starts from just £62 a year. Give a gift that lasts all year. 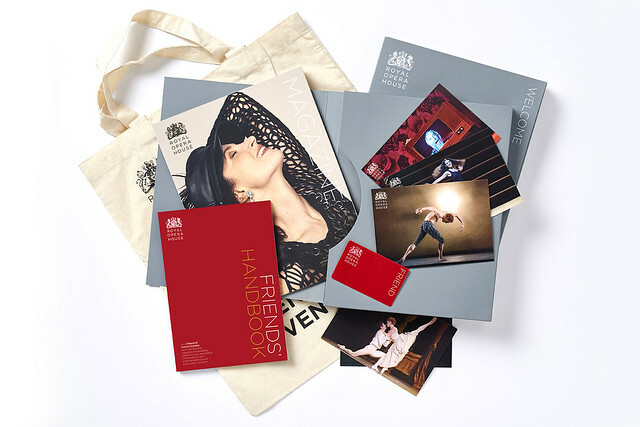 Friends’ membership makes an ideal gift for an opera or ballet lover. Simply select your preferred level below and follow the instruction for buying a gift certificate for membership. Support our unrivalled work and receive priority booking, access to dress rehearsals, backstage news and information and a 10% Royal Opera House Shop discount. Receive the same benefits as a Friend with earlier priority booking and enhanced access to dress rehearsals. Receive the same benefits as a Friend+ with enhanced priority booking as well as a personal acknowledgment on our website. Receive the same benefits as a Supporting Friend with earlier priority booking for performances and dress rehearsals as well as a personal acknowledgment on our website. Receive the same benefits as a Premium 1 Friend with the highest level of priority booking, enhanced access to dress rehearsals as well as a personal acknowledgment on our website. Exclusively for 16-30 year olds, you’ll receive the same benefits as a Friend but for a lower price: priority booking, access to dress rehearsals, backstage news and information and a 10% Royal Opera House Shop discount. Please call +44 (0)20 7212 9268 between 9.00am and 5.00pm Monday to Friday, or email our Friends' Membership Office. See a list of our current Premium and Supporting Friends.